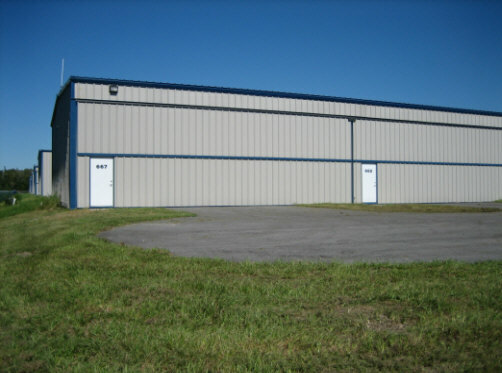 Tampa North Flight Center offers T-Hangars for rent and for sale. 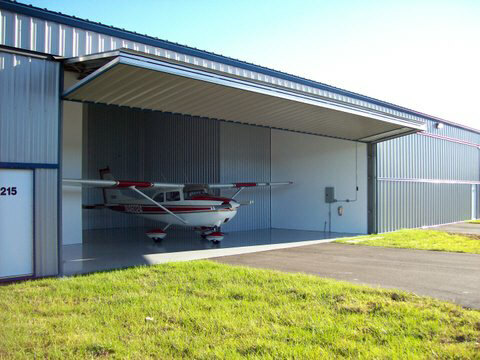 The new enclosed T-Hangars are constructed using typical prefabricated metal building with concrete floors, individual electric service, including electrically operated bi-fold doors with 41' wide openings, 34' deep and 12' height clearances. Some hangars are available with private restrooms and showers. Pricing includes the land under the hangar and a prorated share of the common areas such as taxiways and ramp areas. A condominium association has been created for the benefit of the unit owners. Upon request, we will provide copies of the Declaration of Condominium, the Articles of Incorporation, the By-laws, the Estimated Operating Budget, the Agreement for Purchase, and the Airstrip and Flight Easement that will allow the association permanent use of the runway and airspace associated with the runway. This Easement will encumber the airport owner to provide runway access.